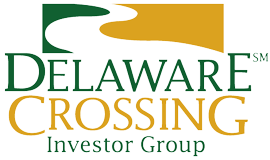 Delaware Crossing Investor Group (DCIG) is a network of former and current executives and entrepreneurs who provide counsel and capital to early-stage and other growth-oriented companies. Our members back entrepreneurs and their companies by contributing investment capital and important domain expertise in a wide array of industries. Our members back entrepreneurs and their companies by contributing investment capital and important domain expertise in a wide array of industries. DCIG is confident in its strategic investment strategy and the processes utilized by the group to source and fund its portfolio companies. We are excited by the role DCIG continues to play in helping build a flourishing startup ecosystem in the Greater Philadelphia region. During the screening or Investment Process, many factors are considered such as strength of the management team, growth prospects, competitive dynamics within the market addressed, and the business model. Companies applying to Delaware Crossing need not meet all of the investment criteria below; however, as optimal investor and entrepreneur fit is crucial in angel investing, please consider how closely your company matches these requirements before applying (Apply Here). While many of the investments presented to the group are high risk, these investments also have the potential for a high return! General membership meetings occur approximately every month in each chapter. Screening Committee meetings will occur generally every month as well. Members must commit to attending most of the general membership meetings, and are also expected to play an active role in group functions. Delaware Crossing Investor Group focuses on reaching entrepreneurial and investor communities on both sides of the Delaware River. Currently the group has member chapters in Doylestown, PA and Princeton, New Jersey. These locations position DCIG to more effectively serve its investor members as well as engage entrepreneurs and source deals throughout a broad geographic region.